Wear your apron in style. We offer an extensive selection of bar aprons that can be custom printed with your brand in a variety of colours. 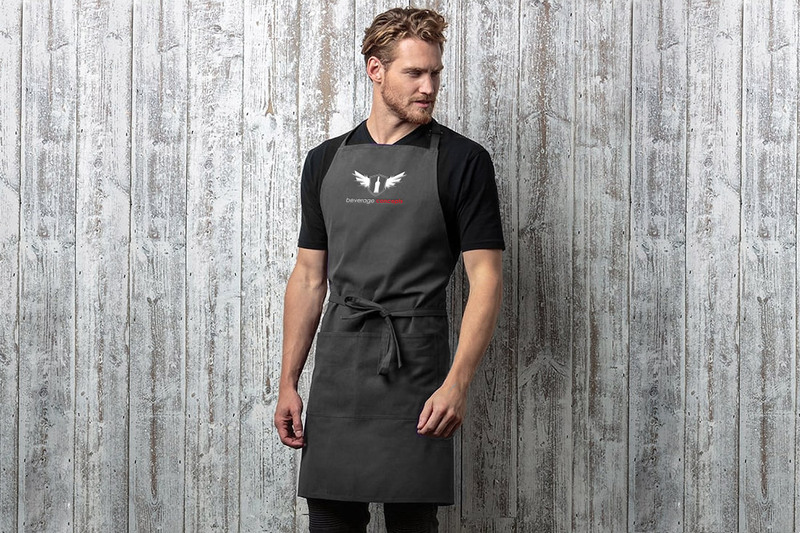 There are many durable styles available from full length bib aprons with pockets to custom half-size options, all of which come is various sizes and materials including denim, canvas or heavy cotton to name a few. Our aprons can be custom printed in a variety of colours to match any brand request. Our range of custom styles will halp you create a unique look for your brand.